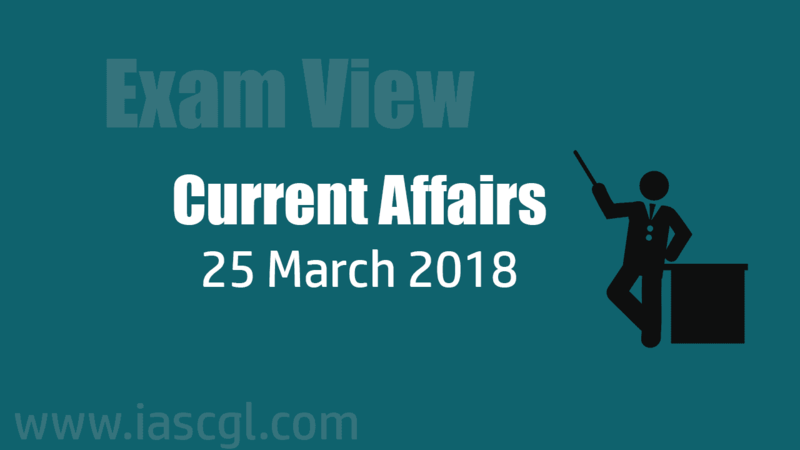 Current Affair of 25 March 2018, Exam View. 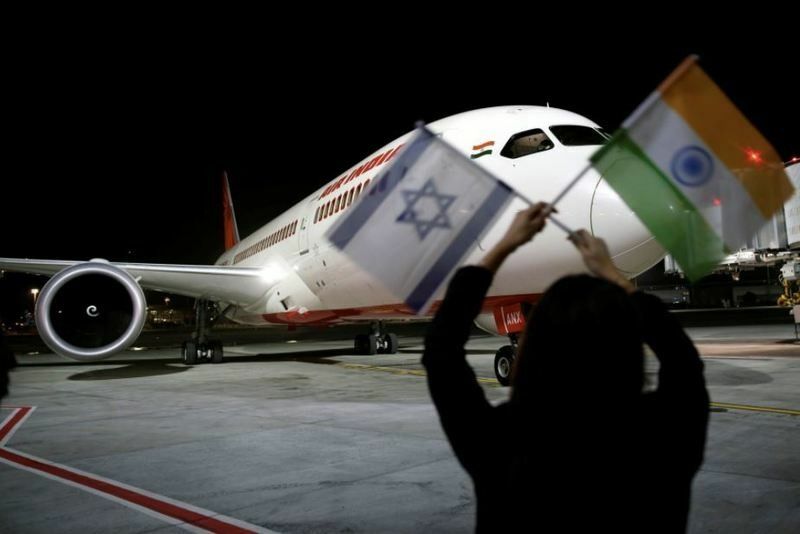 Air India flight AI139 from New Delhi to Tel Aviv, became the 1st commercial aircraft en route to Israel to fly over Saudi Arabia. Rio Olympics silver medallist PV Sindhu will be Indian contingent’s flag-bearer at the opening ceremony of the Gold Coast 2018 Commonwealth Games. This would be the first time in the last three editions of the Commonwealth Games that a badminton player would don the flag-bearer’s hat. At the 2010 Delhi CWG, it was Beijing Olympics gold medallist Abhinav Bindra who carried forward the legacy at the march past. At the 2014 Glasgow CWG, London Olympics silver medallist shooter Vijay Kumar was handed the responsibility of flag-bearer. Vodafone Group and Aditya Birla Group(Idea) have appointed Balesh Sharma as chief executive officer (CEO) of an entity created by the merger of their local telecom units, which will become India’s largest mobile phone operator by subscriber and revenue market share and be better placed to compete in a market savaged by price competition. The 7th India-Egypt Joint Commission Meeting was held in New Delhi, on 23rd March 2018. The meeting was led by Indian External Affairs Minister Sushma Swaraj and Egyptian Foreign Minister Sameh Shoukry. Both the sides reviewed the progress in the areas of political, trade & investment, S&T, cybersecurity, capacity building, security, space and culture. Martin Vizcarra was sworn in as Peru's new president Friday, catapulted to the post when Pedro Pablo Kuczynski resigned to avoid impeachment. Vizcarra, who was both vice president as well as his country's ambassador to Canada, took the oath of office. The cabinet also decided to forward its recommendation to the Centre. Tuberculosis is caused by a bacteria called mycobacterium tuberculosis, which mainly affects the lungs. This disease is also known as 'Tuberculosis'. The theme for this year World TB day is ‘Wanted: Leaders for TB-free world’. It spreads from person to person through air. A quarter of the world's population suffers from latent TB. latent TB means that people become infected with TB bacteria but they do not have this disease and they can not transmit it to other people. A person infected with TB bacteria is 5-15 percent likely to be infected with TB. However, people suffering from HIV, malnutrition and diabetes and those people who use tobacco are most at risk of getting infected with this disease. Generally it is only a disease affecting the lungs, but it can affect other organs of the human body. World Tuberculosis Day is being celebrated on March 24, 2018 all over the world. On this day, in 1882, '24 March 'is celebrated every year on the occasion of the birth anniversary of Dr. Robert Koch, who has discovered the Basilic of tuberculosis. Worldwide, by 2035, the goal of elimination of TB has been fixed, while in the country of India, it has been set to end by 2025.